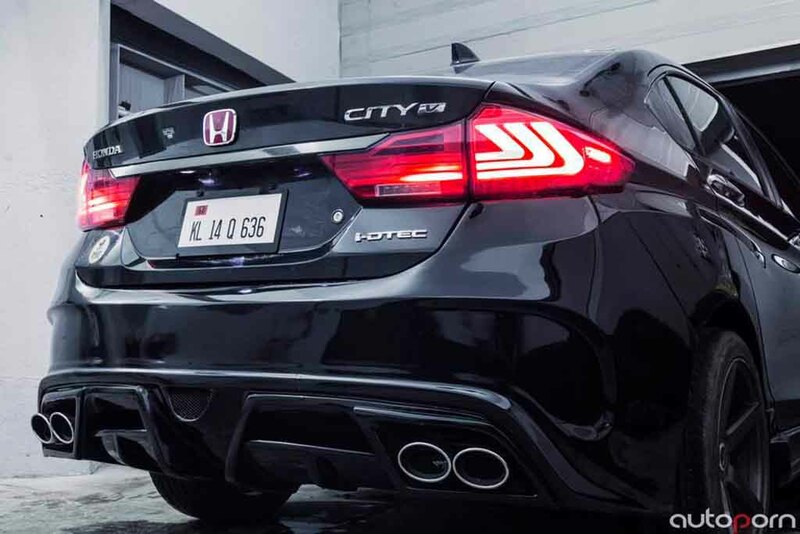 Honda City is certainly the most popular and best sold mid size sedan in India. The stylish looking executive sedan is any urban car lover’s delight. But the stylish and suave car can be very aggressive and bold also. Yes. 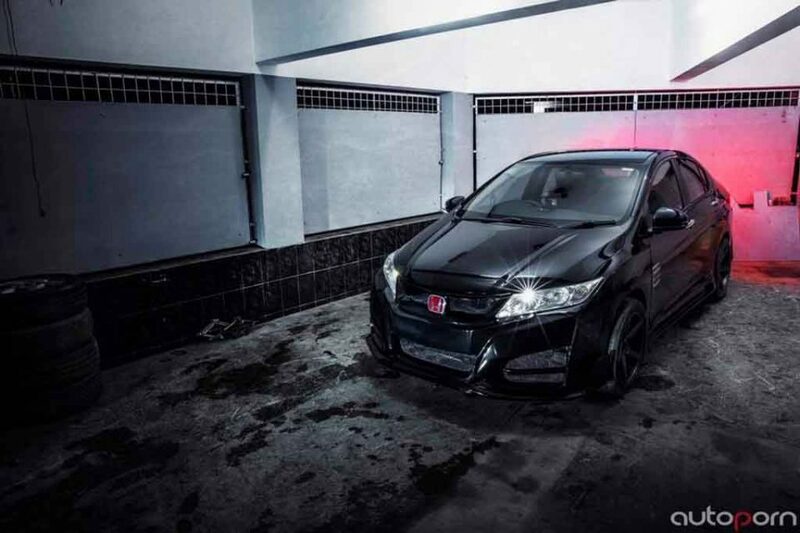 Check the Honda City 2k16 modified by the Kozhikode based 360 Motoring. 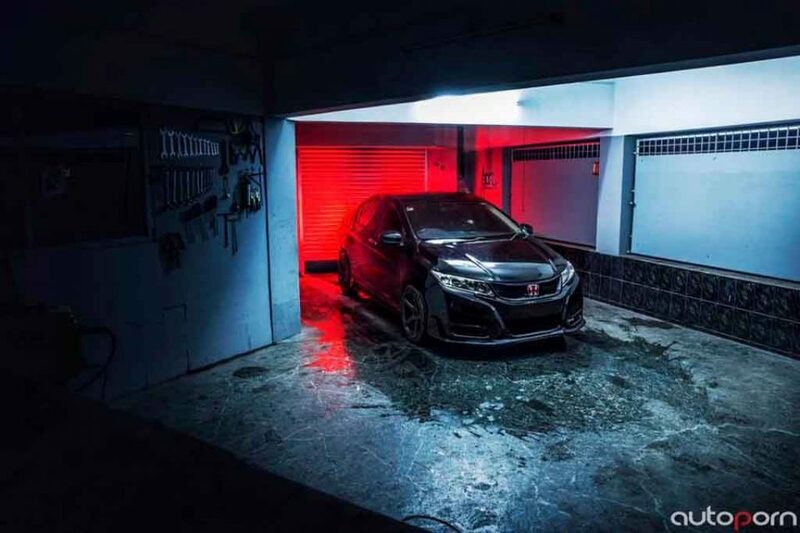 The modified Honda City has been christened as Honda City 2k16. It dons a full sporty deep black theme at exterior. 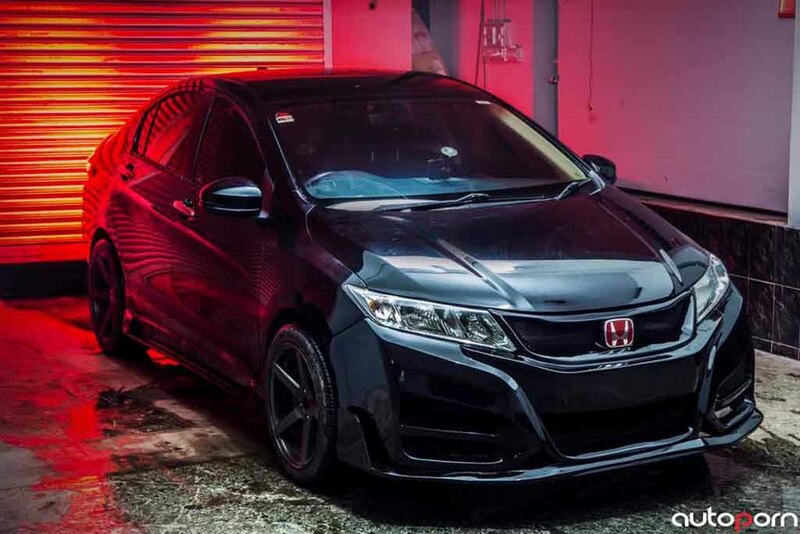 This deep black theme not only enhances the appeal, but also makes the car very aggressive also. At exterior the car comes with several cosmetic upgrades to look sportier. At the front the headlamps remain similar like the standard model. The front grille comes sans the thick chrome bar. The front bumper looks massive and it gets a type R bumper. 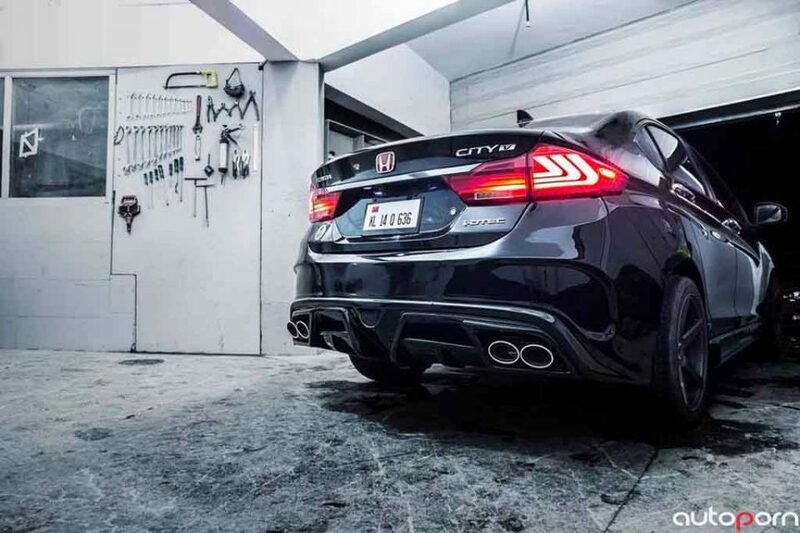 The larger air intake, wider air dams at both ends just increase the appeal of the car. The hood has been redesigned as well, as we can see the sharper and thicker creases running down toward the nose. The side profile also sports updates. The five spoke jet black alloy wheels, side skirts are all new compare to the regular model. At the rear profile also changes have been made to give the car a distinctive appearance. What we see at the rear profile include custom designed taillights with three row LED stripes. Also the rear diffuser, twin chrome tipped dual set of exhausts are the things make this car pretty much bolder. The interior of the car has not been revealed though. But the 360 Motoring claims, they have fitted a Kicker music system to the cabin. Expect the interior theme to come in black as well. Among other features it would get a multifunction steering wheel, a sleek touchscreen infotainment system. Despite so many updates at exterior Honda City 2k16’s mechanical outfit remains same. Only the suspension set up has been changed to give the car more race spec looks. It now comes with reduced ground clearance thanks to the new fitted Multiwax Tein low springs. The power sources for Honda City include a 1.5 litre engine in the petrol variant and a 1.5 litre engine in the diesel variant as well. The modified model here is a diesel variant.